This Into The Millennium site owned by Amanda. 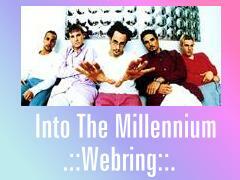 This Backstreet Boys Webring site owned by Amanda. This Backstreet's Backstreet Boys Ring site owned by Amanda.